Fashion Denis: My whole CREATIVITY..
Hello, today I decided to inspire you through this my post - "My whole CREATIVITY". I really love use my creative imagination. Painting, glass painting, sewing clothes, create my own clothes, decorating clothes with stones... I enjoy it all. And of course, take pictures, but in this post I will not write about it. If you like to create something and have not tried it, definitely do it. You make something custom for you beautiful and unique. 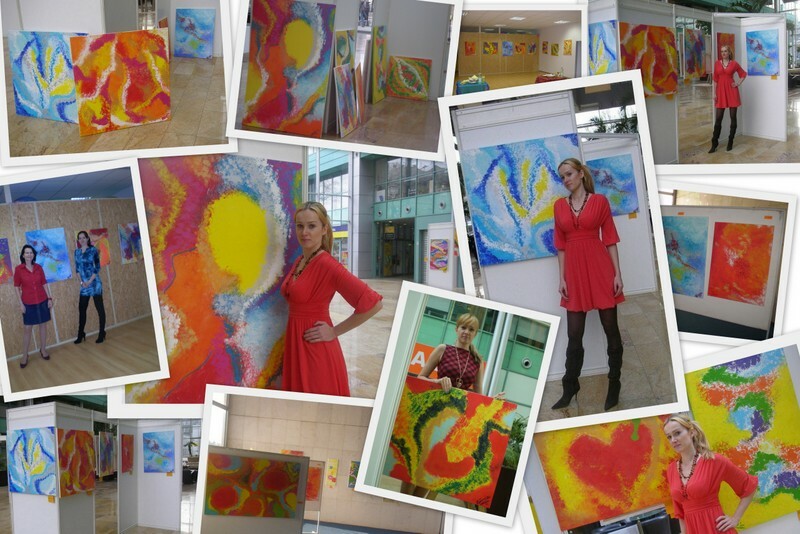 I love colors so my paintings and all are like that. First time it does not succeed like you want, but never give up. If you would like some advice... Just ask me. I wish you a nice day. Dnes som sa rozhodla vas inspirovat clankom s nazvom - "Moja cela KREATIVNOST". Milujem tvorivé veci a využívanie fantázie. Maľba obrazov, maľba na sklo, šitie šiat, navrhnutie oblečeia, zdobenie oblečenia... To všetko ma baví. A samozrejme aj fotiť, ale to do tohto článku neuvediem. Ak teda radi tvoríte a ešte ste niečo nové neskúsili, ale chceli by ste, určite to urobte. Vytvoríte niečo osobné, pre vás krásne a najmä originálne. Ja milujm farby a farebnosť a to využívam v mojich výtvoroch. Prvýkrát sa vám to nemusí podariť, ako ste si želali. To vás ale nemá vôbec odradiť. Určite sa nevzdávajte a ak máte sny, pracujte na nich. Keby ste mali otázky, rada zodpoviem. Pekný a pokojný deň vám želám. My sewing, clothing design and decorating / moje šitie oblečenia, navrhnutie oblečenia a jeho zdobeie. All 4 I create, I sewed and decorated.. I created it and gave sew / kabát som si navrhla a dala ušiť. My paintings and the last one I made with my mum. Moje maľby a posledná bola v spolupráci s mojou mamou. all of your creations look amazing! I really like how you coloured the glass, I haven't seen that before. I like how your paintings are always so colourful. I completely agree with you, it's always great to create and do something for yourself! I love people who are so creative!!! You are doinga great job!I really liked the glass painting. Hi dear, your creative side really shows through these fantastic pieces of art, you're so talented! You're so talented!! Sometimes I would also love to DIY some of my items but I always can't make out time for that. But thanks for sharing, all of them looks lovely and creative! Beautiful! You are so talented!!! Tak to smekám!!! Jsi nesmírně šikovná a já takové lidi hrozně obdivuju. Tvoje obrazy jsou perfektní! wow you are so talented and creative :) everything is fab! Congrats dear,I like your DIY!! Wow, I must say, you are so creative and incredibly talented! Wow you are an artist!I really love what you do with the pair of jeans! !and the white t-shirt!!! Kisses dear and happy weekend!